“Gode” Paranchai Aditepworapan, the big Muay Thai camp of Paranchai open minded by admit Sue (View on School Sports Nakhon Si) who loss to Natalie Veerachai in Muay Thai 7 Color in the last match that he is not good. If he has a good boxing skill, he will not lose but everything can starts again . “Gode” Paranchai Aditepworapan, the The big camp of Paranchai open minded by admit Sue (View on School Sports Nakhon Si) who loss to Natalie Veerachai in Channel 7 Muay Thai stadium in the last match that he is not good. If he has a good boxing skill, he will not lose but everything can start again. “If you asked me fell sorry or not, I will admit I am sorry because he can fight very well but not have experience. If he has experience just a little bit of boxing, he will not lose but he is not so he stop and lose which I do not regret but I agree that I fell sorry and order staff to take care him and I will try to help too. I give Sue to Tanu but other people have to help each other because we are the same Thongsong people. When everything happen, we have to help each other” Gede said. 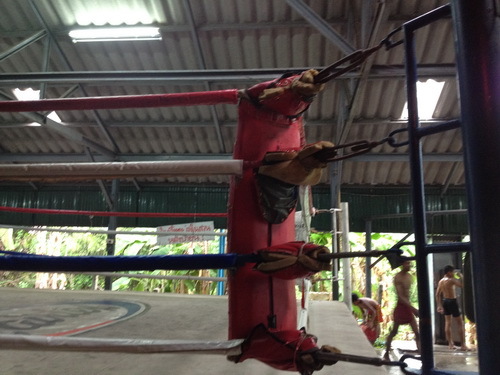 This entry was posted in Uncategorized on 2014/07/12 by muay thai fighter.